What is Output Management, Anyway? You’re interested in output management and always wanted to know just what that is, how it works, and what output management can do? 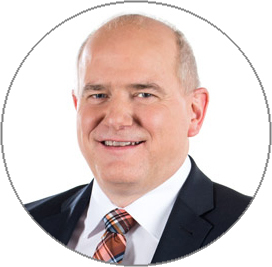 In this blog entry, Johannes Hesel, head of our Corporate Output Management division, answers your questions on this subject. What is meant exactly with the term “output management”? There are around 30 companies in Bitkom’s working group Output Solutions. Each one of them will give you a different answer to this question. But we can all agree that output management is about optimizing the distribution of information and documents, and the processes involving this. Put simply, output management strives for solutions so that you have the right information available at the right time, in the right place and in the right format. And all that with minimum effort. Typically, output management solutions use interfaces which receive information and documents from the application environments where the distribution of information should take place. These are then prepared centrally, in order to be distributed to the desired communication channels in the ideal format. 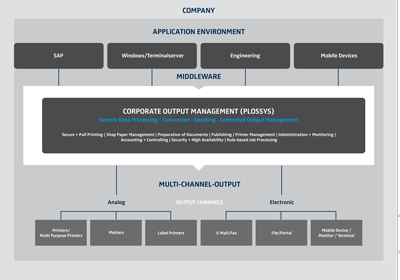 SEAL Systems’ solution for output management is PLOSSYS netdome. What distinguishes this engine from the classic systems? This depends on what is meant by “classic system”. If you mean “printing with Windows standards and with Windows print servers”, then my answer would be that we can control 98% of a company’s print machines from one single print driver, without your having to give up the device-specific illustrations in the Windows print dialogues. The administrators of Windows environments and Citrix server platforms recognize the value in such an approach. If you define classic system as printing over the SAP spooler, I would answer that we also display nearly all output platforms from SAP over a generic printer type. At the same time, we greatly reduce the efforts for form development, while you can track the status of your print job at any time in SAP — all the way until the paper lands in the printer tray. With our approach, we generally try to reduce administration expenditures for printing. 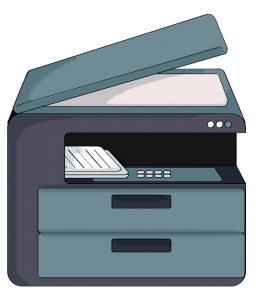 For example, printers only have to be set up in a centralized place once, and then they are available automatically in SAP, Windows and in PLOSSYS, with one click. Central monitoring helps the administrators and the User Helpdesk manage a distributed environment. The great advantage to our approach, however, is that we work completely independent from applications and manufacturers. We deliver a corporate output management platform which can process all of a company’s output demands. Recently I was at a large European governmental agency which had introduced our solutions three years ago. They told me that one of the biggest advantages to using our product was that afterward they were no longer dependent on individual printer manufacturers, and that they had succeeded in doing away with ten to twelve individual solutions with our engine. How can print needs, different end devices and device platforms be combined efficiently? One aspect would be the standardized integrations mentioned above, in their various application layers. And of course the integrated conversion solutions in our output management platform as well, where the most diverse applications can be connected with all output channels very easily. 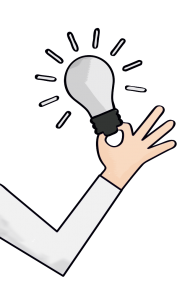 Something entirely different has occurred to me in regard to increased efficiency in output processes: There are many business processes which need outputs from different environments. For an order, for example, general terms and conditions, specifications, and drawings are needed along with the actual order from the SAP system. 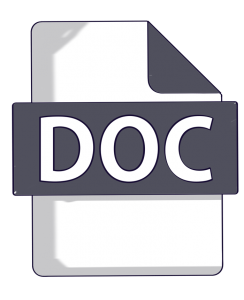 For a production order, supporting documents also need to be added to the respective production paperwork. Here, with our integrations for SAP, we offer solutions which check automatically whether there are linked documents when printing a purchase order, a maintenance order or production order. They are likewise automatically collected, prepared, and printed in the right position together with the company papers. This output management solution optimizes not only the actual print process, but also the entire business process. This makes processes faster and more secure. Still have questions about Corporate Output Management? Write to us! We’re happy to assist you! You’ll find lots more information here.